LiuGong next generation skid steers – the solution for the professional landscaper. LiuGong is engineering customer value into every machine they build from the very start of the design process. The curved corners on their B Series Skid Steers provide a wider, less obstructed view of the worksite and a solid “corner to corner” view of the bucket, blade, fork or other attachment being used. Intelligent use of complex shapes adds another important benefit – reduced noise levels inside the cab. By using curves to increase the stiffness of the cab, surface transmission of sound energy is significantly reduced. All LiuGong machines are designed, built and tested for extreme-duty applications. The B Series Skid Steers are no exception. The new integrated frame provides a solid, rigid foundation for long, hard and productive days. The beefy, box section loader arms match the strength and durability of the frame, and make the B Series Skid Steers long lasting and reliable machines for all applications – from high-cycle construction and mining applications to farms, nurseries and ports. The B Series Skid Steers don’t just look better – they last longer. 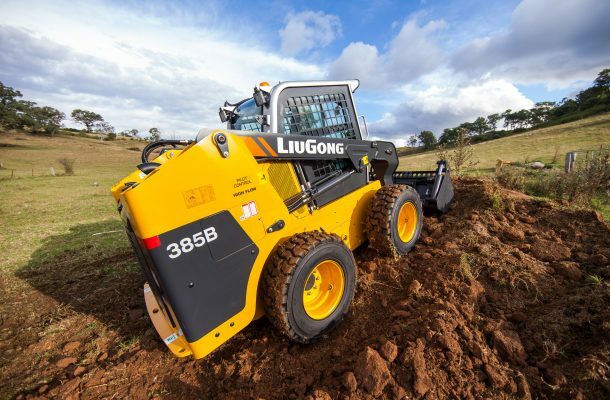 Many thousands of hours of real-world testing have been spent on the development of the new skidsteer, and the result is machines that not only please users, but that also live up to the strict quality standards that LiuGong mandates. The machines feature double-lever pilot control for sure, simple, effortless operation. The hydrostatic transmission system provides infinite speed control so operators can inch through critical areas with no extra space, but still travel quickly over large areas. Spring applied, hydraulic release brakes allow the operator to position the machine exactly where needed, and hold it there for pin point accuracy on precision jobs. They also have hydraulic self-levelling, especially useful for pallet fork applications. The universal LiuGong quick-coupling system makes for fast, easy changes with the complete line of LiuGong attachments, plus the B Series can pick up existing industry standard attachments, from any suppliers that the customer may already own. The B Series Skid Steers comes standard with a range of options to help customers meet their job requirements and performance needs. The list includes highflow hydraulics, heater and air conditioning, enclosed ROPS/FOPS Cab, solid tyres and tyre chains, plus many more. 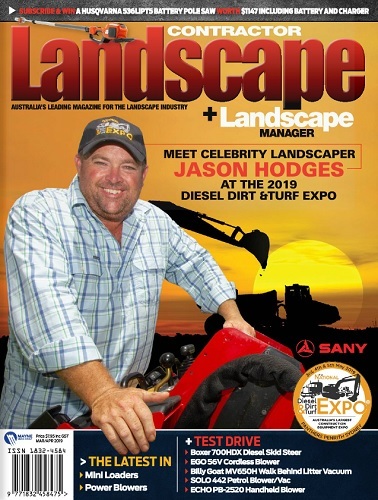 demo, call AWD Group on 1300 888 479.